It’ like stepping back in time. When you visit Willowbrook Manor English Tea House and Chamomile Farm you feel like you are visiting a century-old estate. Owner Terry Gifford is a wonderful hostess with a vision of creating a dinner concert series for guests to experience exceptional classical music in an intimate and timeless setting. Accompanied by a sumptuous meal served on pressed linens and china, the atmosphere makes the event an evening to remember. The Willowbrook Chamber Music Series debuts on March 9th. 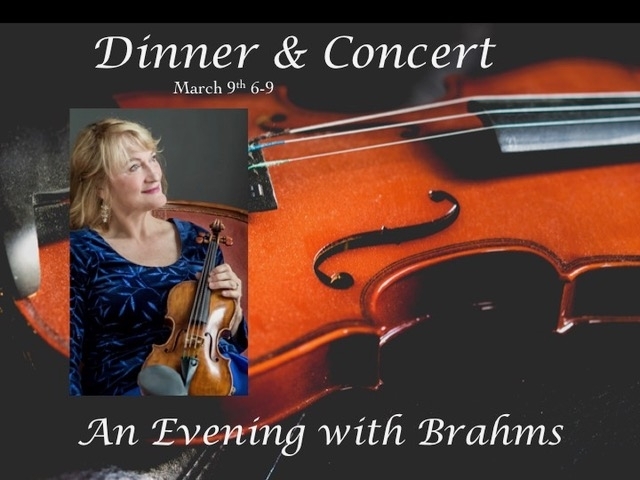 ‘ An Evening with Brahms features guest violinist Sharyn Peterson. LImited to 26 guests. By reservation only.